What Happens to Skin With Age? It’s been said that, “If life is about change, the proof is in our skin.” It cannot be denied that skin changes, and usually for the worse, as humans age. The reasons for this are both intrinsic and extrinsic. The longer we wear our skin, the more effects the environment has on it. Extrinsic influences not only include the sun’s UV rays, but also consist of pollution, gravity, dry climates and even sleep position. The more years these have to impact our skin, the more brown spots, sagging, dehydration and wrinkles appear. In addition, the more years we spend with bad habits, such as tobacco use or poor nutrition, the less healthy our skin will be. The good news is that many of these stimuli can be controlled or even completely neutralized. Intrinsic issues include Fitzpatrick score, genetics, increased inflammatory signals, decreased lipid production and decreased hormone levels. Many of these influences cannot be controlled, although some of them can. The mechanism by which genetics influences our aging is not well understood. However, it is obvious that the genetic makeup of certain ethnic populations differs from other populations in how their skin ages. For example, the blue-eyed, freckled woman with Irish heritage is going to suffer more damage from the same sun exposure that would barely affect a woman of Native American descent. Although the mechanisms are not fully understood, it is known that genetic aging represents a balance between cellular DNA damage and cellular repair. Cellular repair depends, in part, upon the genes that control the cell cycle regulation and the amount of proteins and lipids within the cell. UV rays and pollution lead to the formation of free radicals, which cause DNA damage to the skin cells, resulting in poor texture, brown spots, increased redness and even skin cancer. Smoking damages small blood vessels, causing decreased blood flow to the skin. Smokers have more carbon dioxide and less oxygen in their blood than do non-smokers, so the blood that does reach the skin is less nourishing. Studies have shown that, on average, smokers look almost 1.5 years older than non-smokers. Estrogen has many anti-aging effects on the skin. As women enter menopause and lose estrogen, they experience a decrease in collagen, antioxidant protection and moisture content. Estrogens also have anti-inflammatory properties, so menopausal women may experience inflammation of the skin and/or exacerbation of rosacea. The number of small blood vessels feeding the skin also decreases with a loss in estrogen, resulting in pale skin and less well-nourished skin. All of these add up to rapid aging with menopause. Men do have small amounts of estrogen and encounter the same issues, but usually not until they are in their 70s or 80s. The aging process affects all three layers of the skin: the epidermis, the dermis and the hypodermis. The epidermis thins and contains fewer melanocytes (the pigment-containing cells). 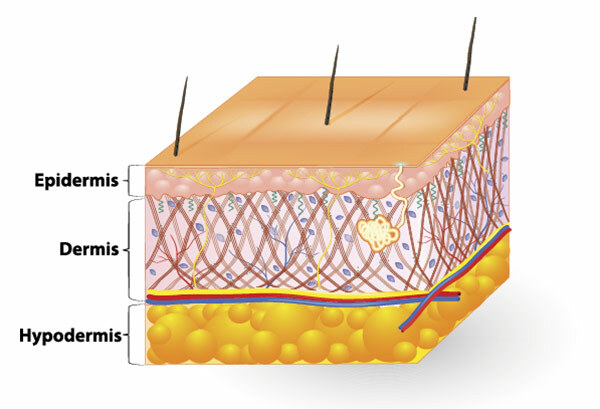 The melanocytes that are still present enlarge, creating “sun spots” or “age spots.” The skin’s connective tissue in the dermis diminishes as we age, reducing both strength and elasticity, contributing to loose, hanging skin. The small blood vessels in the dermal layer become more fragile, causing bruising to occur more easily and collections of blood under the skin (called senile purpura). Many environmental factors, such as UV light and pollution speed up and worsen all of these issues. Most people experience decreased sebum production as they get older. In general, women begin to notice this with menopause. Men often don’t experience decreased oil production until they are in their 80s. This makes the skin feel and look dry, flaky and itchy. Subcutaneous fat is lost from the hypodermis with age, which causes the skin to droop or appear wrinkled. Think about sheets on top of a mattress. If the mattress is large and firm (like our fat when we are young), the sheets stretch tightly on top. As the mattress gets old and the coils lose height, the sheets (i.e., our skin) are wrinkled instead of tight. In addition, the more years spent scowling, smiling, smoking, drinking out of straws and/or raising our eyebrows, the more chance we have that static lines (those that are present at rest) will occur in all of those areas. The bone density in our chin decreases as we age, which further exacerbates the volume loss, causing puckering and lines below the mouth and accentuating the appearance of jowels. The nose loses cartilage, causing the tip to droop, which accentuates the bony aspect of the nose, causing it to look larger. To help your clients minimize the effects of aging on their skin, start early. Below are a few tips to provide them with to prevent skin aging. Sunscreen. Educate younger clients on the importance of using a physical block sunscreen and of reapplying. Smoking. Gently let your smokers know the aging effects of those cigarettes. Home care. Helping your client to understand the importance of home skin care is important. Antioxidants. The earlier they start on a good antioxidant product, the fewer free radicals will accumulate. Vitamin C, vitamin E, ferulic acid, ginger root and green tea extract are all powerful antioxidants. Anti-wrinkle agents. Peptides help increase collagen, aid in cellular repair, and improve hydration. Vitamin A (retinol) speeds up cellular turn-over, which improves texture and fine lines. Vitamin A is also an essential co-factor of collagen synthesis. Low-level light therapy is a gentle modality that has significant anti-aging and healing benefits. Multiple sessions utilizing both blue and red light waves improve circulation, heal damaged cells and increase elastin and collagen. Many treatment options exist for increasing collagen, including MicroPen, laser resurfacing and ultrasound-based devices. As we age, it becomes harder to stimulate collagen production, so encourage your clients to do these procedures while they are in their 30s or 40s in order to “invest in their collagen bank” before it’s too late. Anti-inflammatories. Anti-inflammatory ingredients (such as niacin, azelaic acid, honey and copper) minimize diffuse redness. Laser treatments are also helpful for diminishing underlying red tones. Blood vessel support. Vitamin K and arnica can increase the strength of blood vessels. Lightening agents. Hydroquinone, vitamin C, kojic acid and malic acid are some of the ingredients which can lighten areas of hyperpigmentation. Lasers and chemical peels can be used to diminish brown discoloration from sun exposure. Exert caution when treating patients with hyperpigmentation due to melasma. Melasma is hormonally stimulated and will get worse with most laser treatments. Instead, use chemical peels with good home products on these clients. Neurotoxins (Botox, Dysport and Xeomin are the three with FDA approval in the U.S.) interfere with the ability of nerves to communicate with muscles, thus decreasing muscle movement. When used in areas such as the forehead, glabella (in between the eyebrows) and around the eyes, they can temporarily minimize the appearance of existing lines and can permanently stop new lines from forming. Fillers, of which there are many choices, are used to correct areas of volume deficit that happen as fat pads and bone volume decrease. 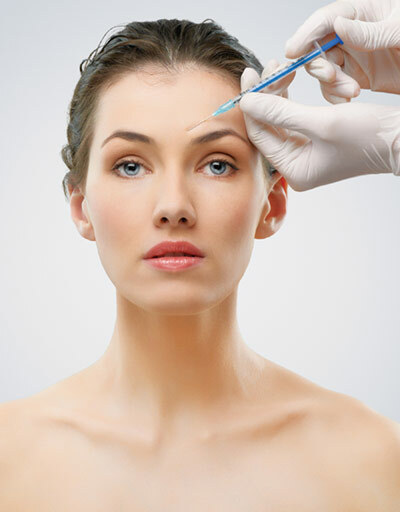 Fillers can even be injected into the nose to correct the drooping that occurs with aging. Lastly, consider referring aging clients to a physician who specializes in bioidentical hormone therapy. It is well known that early intervention with estrogen and possibly testosterone can delay many of the signs of aging on skin. Certain aspects of how humans age cannot be altered or changed, however, many can. 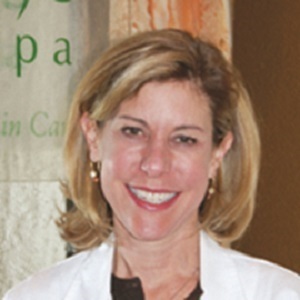 Therefore, the earlier you begin educating your clients on the importance of maintaining the health and wellness of their skin and on the treatments available to help delay the aging process, the longer your clients will look young. The genetic makeup of certain ethnic populations differ from others in how their skin ages.